Sophisticated and understated backpack with an urban street-look vertical design and wide back straps. Great for work, school, college, and leisure. The washed canvas fabric available in military green or denim blue will blend in with any color you choose to wear. 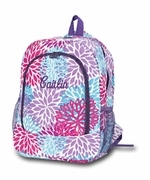 The design offers a large main compartment with padded pocket for a tablet with a webbed velcro strap. Numerous open and zippered pockets on both the interior and exterior. A front vertical zip pocket provides extra storage space for smaller items that you want to keep separate a mobile phone, car keys and a wallet. 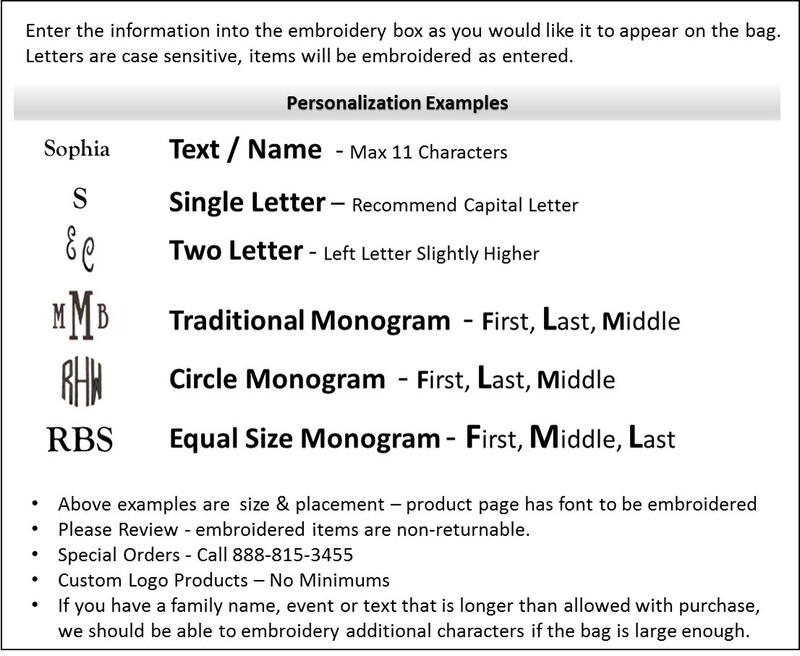 Monogram initials included with purchase. The canvas vertical backpack measures 16"H x 14"W x 6" across the bottom. Quality leather trim, zipper pulls, and accent buckles.